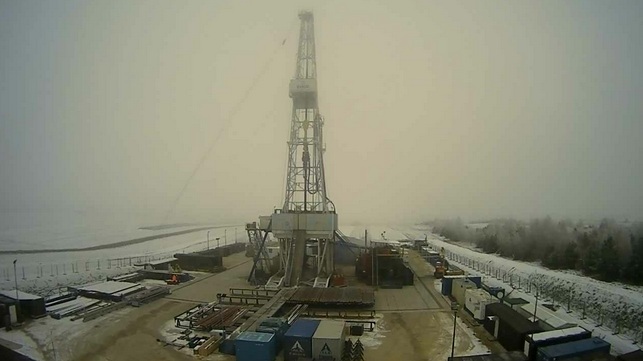 PGNiG Company has prepared an awesome attraction for those interested in shale gas exploration: online camera on the drill site. You can now see the progress of drilling operations anytime, day or night. The "Majdan Sopocki-1" Well, located in the Susiec Commune (Lublin Province), was spud in late in October 2014. It will take about two months to drill the well to the target depth of 3200 metres.